Do you know why during a long journey you feel tired? It is because your car seat does not have a proper support for your arms, back, and neck. Introducing Roger Cushport to comfort your back, neck & shoulders. 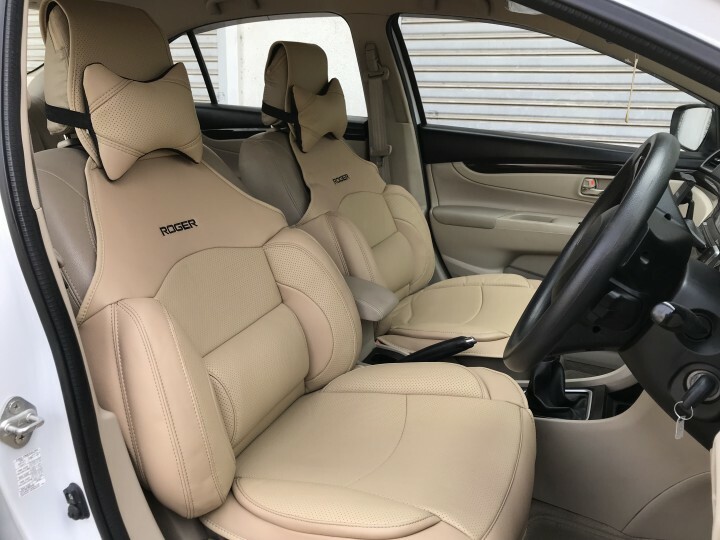 3D seat cover can not only meet the psychology of fashion, but also the comfort and safety requirements. That is why we have developed ROGER CUSHPORT. The reasonable collaboration of beige and black gives visual enjoyment while it provides comfort to your body at the same time. When you drive for long hours, you will have some kind of annoying, uncomfortable feeling in your lower back, shoulder and in the neck. Moreover, in the absence of proper air circulation beneath your back, you will also get sweaty and tired. To avoid such condition you need a specially designed seat cover, which gives proper support to your arms, back, and neck. 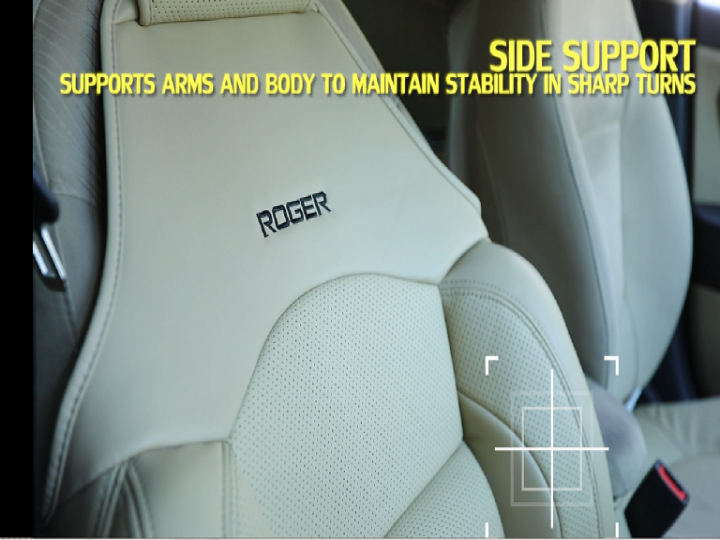 With an aim to increase comfort and safety of car users, Roger Techssories recommending ‘CUSHPORT 3D Seat Covers’ which is the perfect solution to all those problems. Provides Lumber Support: It gives support to your back so that your spinal column receives a lesser burden and you feel less tired. 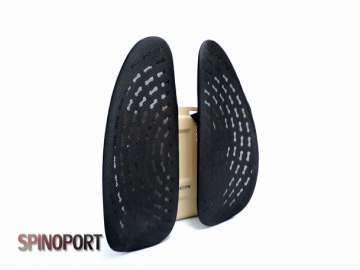 Comes with Side Support: CUSHPORT Seat Cover provides support to the arms. It also gives support to arms and body while taking sharp turns. Adjustable Headrest: Headrest is integral with the CUSHPORT seat cover so it will give support to the neck and reduces fatigue of the journey. Universal Seat Cover: CUSHPORT seat covers are of a universal size, so you can use it easily in all of your cars. Easy to Fit: It is very easy to install. You can do it yourself easily. Warranty on Stitches: Roger gives you seven n Months Warranty on its stitches. 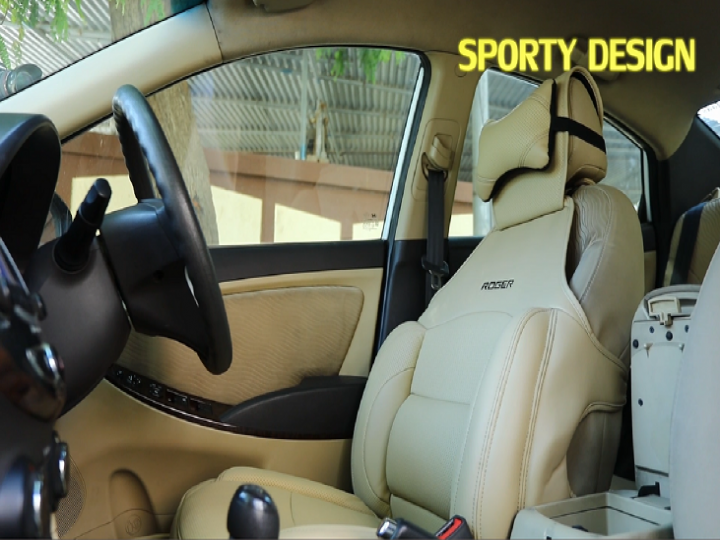 Sporty Design: With its sporty looks, the interior of the car looks more attractive with CUSHPORT seat covers. This product has design specially to give comfort to the back, neck, and arms. Its special design allows for a dynamic, ergonomically sound seated position. It provides consistent support, through changes in posture in the seated position. Integrated headrest with flexibility for adjustment makes this product unique. CUSHPORT Seat Covers are the perfect answer to travelling the fatigue problem. It is very easy to install it. It is of universal size so ideal for all types of car seats. CUSHPORT Seat Cover gives you ultimate driving comfort, which increases concentration and increases driving safety. Order this comfort product online and you will get delivery at your doorstep. I am a regular customer of your super successful products.I have been a fan of your products.They are really really good.Sun shades are extraordinary.I have used your vacuum cleaner. Car pounch, car dusters, air ventilated seat covers and many other small products like phone stand, water container, etc....Today I got suspension savers fixed in my car. Each n every product has given me comfort and they r useful. I had one petty small demand from you. The music CDs we get from Rogers are nowadays unuseful for those who have new cars. Because in many new cars they do not provide cd slots. And the songs Rogers choose are also good. We get fun listening to yr collection of songs as well, including yr roger car accessories vaali jingle...So now you should switch to pen drive ... so that we can play it in new cars also. 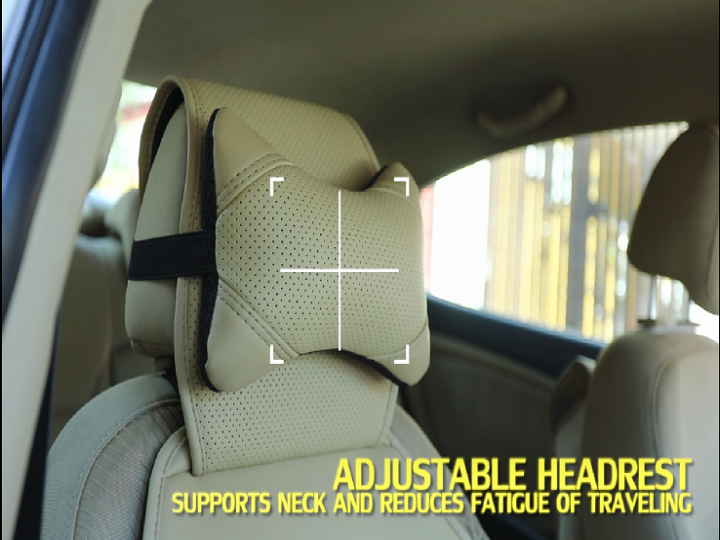 I like Your product, this products is very Comfortable during driving seating and neck support. Thanks for getting such a product in the market. I am very thankful to you and roger car tech for making awesome seat cover for us. 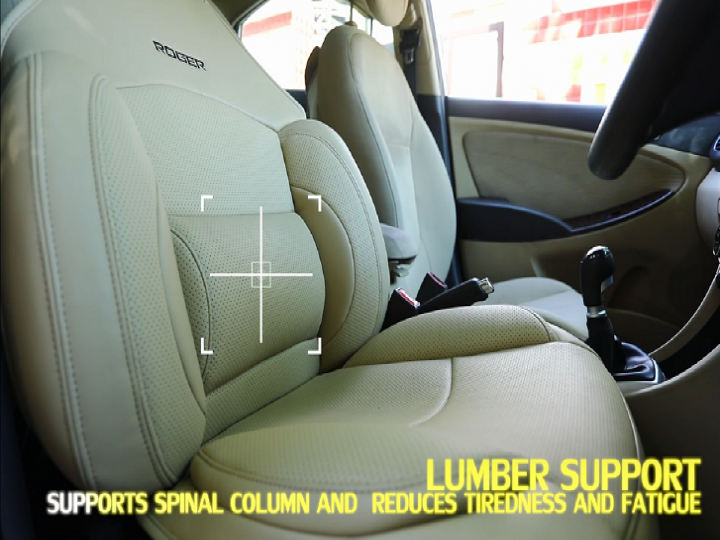 Past few month i am suffering from back pain and i am not able to drive my car so i am looking for something that help me to resolve my problem and i got your product and i am now happy to drive my car. Finally i got what i want..
Q. What about back seat ? 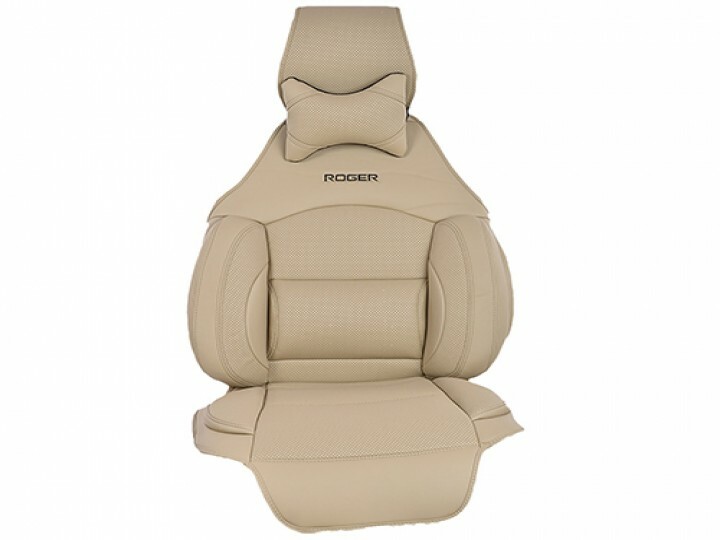 Roger Cushport is designed for front seats of each and every car , brand and model. 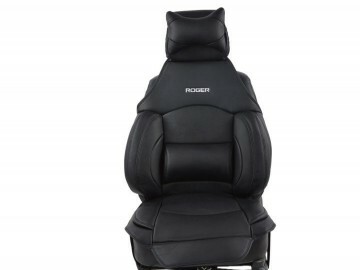 For back seat support you can use Roger Spinoport. Q. Do it fit in my car model? 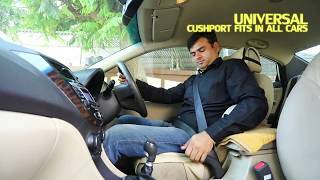 Cushport is a universal product which fits in the front seat of each & every car , brand and model. Q. Is it available for rear seat also ? 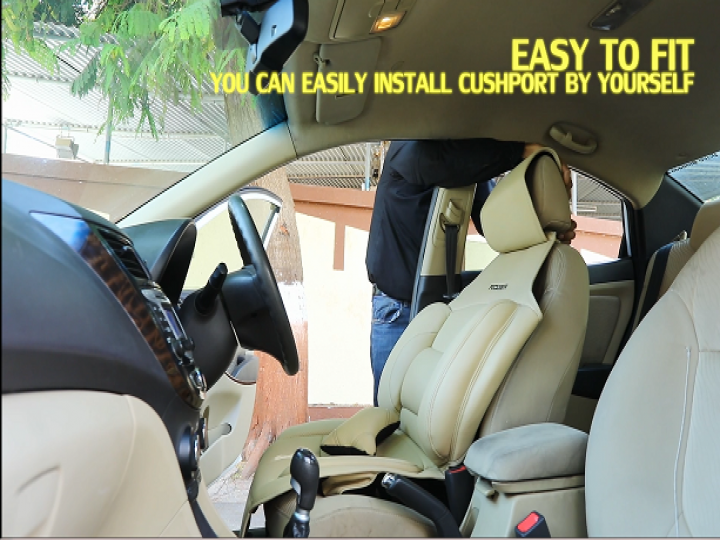 Cushport is a universal product which fits in the front seat of each & every car , brand and model. And it does not fit on the rear seats. Q. Do I get 4 cushport for my car at ₹6650? Cushport is designed only to fit in the front seats of your car.And this price is for 1 cushport only.